Fr. Germán and Sister Catalina Avila led us in an opening prayer. We said a special prayer petitioning the Holy Spirit to watch over the election of a new Bishop in Rome in the coming days. 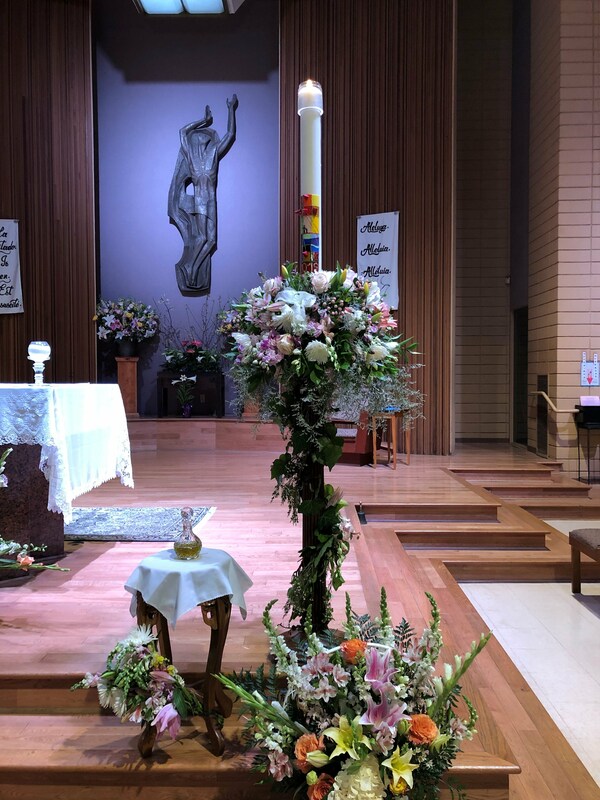 We also dedicated a prayer to fellow parishioners who might be suffering for some reason, including those who have recently lost loved ones as well as those who have passed away. Father distributed a meeting Agenda. Kevin Stapleton agreed to record minutes of the meeting. Fr. Germán said this is a time for prayer that the Holy Spirit will guide the Cardinals in the election of a new pope. We should be prepared to welcome him and lend our support as he undertakes his immense responsibilities of leading the Church. participate in this historical event. endeavour by having a Cardinal assigned to you, whom you will support through your prayer and intercession during the coming weeks before and during the conclave and for three days following the election." concert committee members noted that a big challenge is identifying, contacting, and lining up musical acts from the different communities. We also plan to get children from the school involved. carnival Saturday, April 27. Plans include bingo, various ethnic foods, and a bake sale. stage a dinner of high-end French food and wine at some undetermined date. * An idea was floated for a Mother's Day event (Sunday, May 12), with food and a bake sale, but nothing is firm yet. implement Archbishop Gomez' five pastoral priorities. candidate for this important mission. for Holy Week through their respective coordinators. participated in this service say they found it inspiring and enriching. Fr. considerations of such a move. The main advantage would be to free up Fr. spiritual aspects of his job. reserve nest egg to meet contingencies. 12. Meeting adjourned at 9 p.m.
P. Germán y la Hna. Catalina Avila dirigieron la oración de apertura. orden del día para la reunión. Kevin Stapleton estuvo de acuerdo en tomar notas. esta inmensa responsabilidad de Pastor de la Iglesia. días después de las elecciones." bingo, venta de comida y repostería. 12), con comido y repostería, pero nada seguro todavía. 2. Promover vocaciones al sacerdocio y la vida religiosa. 3. Promover una identidad Católica universal y diversidad cultural. 5. Defender y fortalecer los matrimonies y la familia. 7. Se necesita ayuda de Catequistas. catequistas jóvenes para ayudar a guiar y educar a nuestros niños en la Fe. de la parroquia. La persona interesada debe contactar al P. Germán. por medio de sus respectivos coordinadores. boletines y en los mensajes al final de cada misa. 10. Estamos pensando en un Administrador parroquial. aspectos pastorales, litúrgicos y espirituales de su vocación. balanceado y tenemos una pequeña reserva para en caso de algún improvisto.